Czechout has take some amazing pictures of the Guerrilla art in Leake Street London have a look at the pictures in his blog entry. One of the things I love about Banksy is the fact that the art is often transitory and won’t generally last forever! 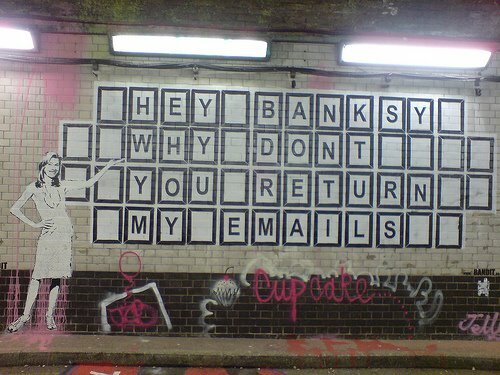 And if you don’t know about Banksy you can read a short Article on Sky News about Banksy.